Another of Ireland’s Nobel Prize winners, also for literature, Heaney has also been awarded many other accolades and prizes for his poetry and prose. 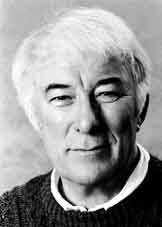 From a smallholding in Derry, Heaney gained a scholarship to boarding school and later studied at Queens University, later going on to lecture there and in Berkeley, Harvard, Oxford and elsewhere, during which time he prolifically produced a wide body of work. While not quite passing the mantle to rap artist Eminem, Heaney has praised the artist for his arousing lyrics and verbal energy in bringing modern day poetry to the next generation. Visit some of the best luxury hotels near Derry and Belfast such as The Culloden Hotel, Malone Lodge or The Merchant. Error: Error validating access token: Session has expired on Monday, 22-Apr-19 15:56:05 PDT. The current time is Tuesday, 23-Apr-19 09:11:02 PDT.